Fair of Face is the sixth novel in the DI Yates series and I think it stands well on its own. It is not a book you can read quickly as there are plenty of characters and several plot threads that need to be kept in mind. It is an intricately plotted mystery, re-assessing a crime from the past whilst investigating a present day murder, set in Spalding in Lincolnshire. I didn’t find it an easy book to review. The book begins with Tristram Arkwright, a prisoner in HMP Wakefield. He works in the prison library and is secretly in correspondence with Jennifer Dove, a bookseller who regularly supplies the prison. Jennifer is bored and finds Tristram a welcome diversion. He, meanwhile, is planning an appeal against his sentence insisting he is innocent. 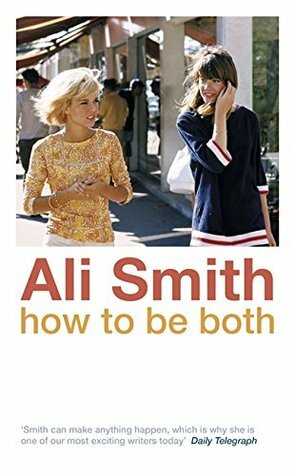 I struggled for a while to sort out the relationships between all the characters and the relationship between the opening chapters and Tina and Bluebell’s murders. The narrative switches between the first person present tense (Juliet) and the third person past tense, which I found a bit awkward until I got used to it. And I was confused by characters with similar names – Tom and Tim for example – regularly having to check who was who. I also failed to see relevance of Jennifer Dove’s character in the opening chapters. But despite these drawbacks I enjoyed the book and was eager to solve the mysteries. My thanks to the publishers for a review copy of the book. Birdcage Walk by Helen Dunmore – first published 2 March 2017 – set in 1792, Europe is seized by political turmoil and violence. Lizzie Fawkes has grown up in Radical circles where each step of the French Revolution is followed with eager idealism. Weaving a deeply personal and moving story with a historical moment of critical and complex importance, Birdcage Walk is an unsettling and brilliantly tense drama of public and private violence, resistance and terror. The Square and the Tower: Networks, Hierarchies and the Struggle for Global Power by Niall Ferguson – publication date 5 October 2017 – non fiction. Most history is hierarchical: it’s about popes, presidents, and prime ministers. But what if that’s simply because they create the historical archives? What if we are missing equally powerful but less visible networks – leaving them to the conspiracy theorists, with their dreams of all-powerful Illuminati? I’m currently reading this book. 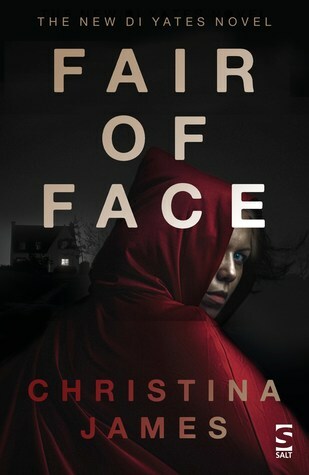 Fair of Face by Christina James – publication 15 October 2017. This is set in the Fenlands of South Lincolnshire, where a double murder is discovered in Spalding. The victims are Tina Brackenbury and her baby daughter. Her 10 year-old foster daughter, Grace has escaped the killer because she was staying at her friend, Chloe Hebblethwaith’s house at the time. Four years earlier Chloe had escaped the massacre of her family. DI Yates and his team face a series of apparently impossible conundrums. Katharina: Deliverance by Margaret Skea – publication 18 October 2017. A compelling portrayal of Katharina von Bora, set against the turmoil of the Peasant’s War and the German Reformation … and of Martin Luther, the controversial priest at its heart. The consequences of their meeting in Wittenberg, on Easter Sunday 1523, has reverberated down the centuries and throughout the Christian world. I have finished reading this book – my review will follow in the next few days. The Last Hours by Minette Walters – publication date 2 November 2017. Historical fiction set in 1348 about the Black Death. In the estate of Develish in Dorsetshire, Lady Anne quarantines the people, including two hundred bonded serfs, by bringing them with the walls. Ignorant of what is happening in the world outside they fear starvation but they fear the pestilence more. Who amongst them has the courage to leave the security of the walls? I’m currently reading this book. The Vanishing Box by Elly Griffiths – publication date 2 November 2017. The fourth book in the Stephens and Mephisto mystery series. It’s Christmas 1953, Max Mephisto and his daughter Ruby are headlining Brighton Hippodrome, an achievement only slightly marred by the less-than-savoury support act: a tableau show of naked ‘living statues’. This might appear to have nothing in common with DI Edgar Stephens’ investigation into the death of a quiet flowerseller, but if there’s one thing the old comrades have learned it’s that, in Brighton, the line between art and life – and death – is all too easily blurred… I have finished reading this book – my review will follow. The Hanged Man by Simon Kernick – publication date 16 November 2017. This is the second in The Bone Field series, featuring DI Ray Mason and PI Tina Boyd. A house deep in the countryside where the remains of seven unidentified women have just been discovered. A cop ready to risk everything in the hunt for their killers. A man who has seen the murders and is now on the run in fear of his life. So begins the race to track down this witness before the killers do. When the publishers of Sausage Hall emailed me offering a review copy of the book I thought it sounded interesting, although I wasn’t keen on the title – I thought it sounded a bit gimmicky and it nearly putting me off reading it. But I’m glad it didn’t because I would have missed out on a good story, a crime mystery with a sinister undercurrent exploring the murky world of illegal immigrants, and a well researched historical element. I enjoyed it. 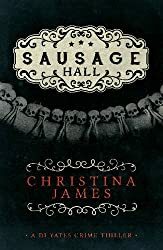 Sausage Hall is the third book in the DI Yates series and although I haven’t read the first two that wasn’t a problem – it stands well on its own, but I’d like to read the two earlier books. This is set in the South Lincolnshire Fens and is an intricately plotted crime mystery, uncovering a crime from the past whilst investigating a modern day murder. The narrative switches between the first person present tense (Kevan) and the third person past tense, which took me a bit to get used to. Actually I thought this worked very well; even though the use of the first person present tense usually irritates me, it didn’t in this book and it gives a good insight into Kevan’s character as well as providing essential information about his background and relationships. I particularly liked DC Juliet Armstrong, DI Tim Yates’ colleague – the two make a good combination, even though Juliet spends a good part of the book isolated in hospital with Weil’s disease, having been bitten by a rat. In fact of the two characters I thought Juliet was the most clearly defined. Maybe a second reading would help clarify Yates’ character for me, or maybe this is where not reading the two earlier books is a drawback. This is not a book you can read quickly as there are plenty of characters and several plot threads that need to be kept in my mind as you read the book. I liked the historical elements of the plot and the way Christina James has connected the modern and historical crimes, interwoven with the history of Kevan’s home, Laurieston House, known to the locals as ‘Sausage Hall’ and the secrets of its cellar – just what is the link between Cecil Rhodes, the Victorian financier, statesman, and empire builder of British South Africa, and the Jacobs family who were the previous owners of Sausage Hall? Added to this is the mystery of the death of a young woman found dead in the woods near the De Vries food-packing plant in Norfolk. It seems she was employed at the plant although the supervisors there deny any knowledge of her. DI York suspects she is an Eastern European illegal immigrant. And as for Tony Sentance, just what is his hold over Kevan and his wife and their son, Archie? It was only just before the end that I suspected the truth. There is more information about Christina James and her books on her blog The earlier DI Yates books are In the Family and Almost Love.